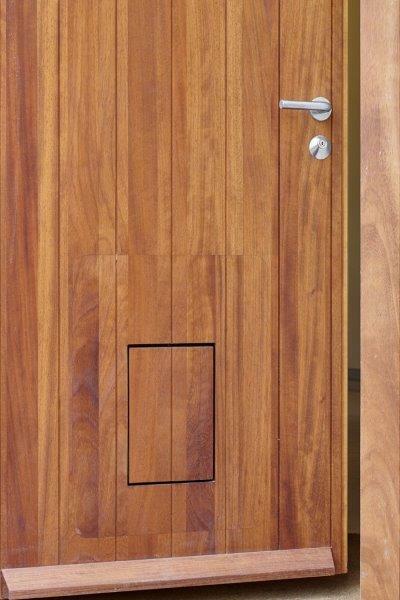 It probably never occurs to homeowners until they get a cat, how important a pet flap can be. 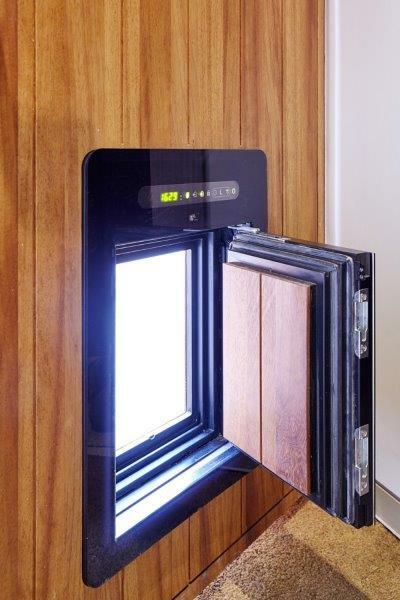 Not only does it provide a means of access for your pets, but it also has to ensure that the security (and insulation) of your property is maintained. 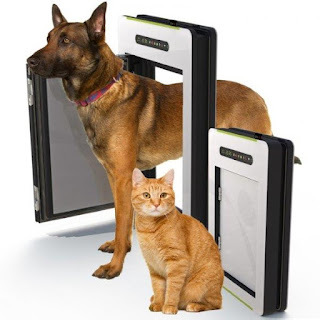 Pet flaps are particularly essential when your cat isn’t homebound, and they have definitely come a long way in the last few years. 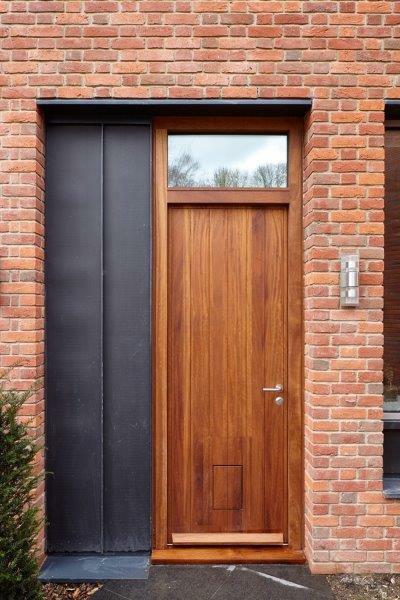 However, if you are installing a spectacular door (which no doubt will be an expensive one too) then it would be a crime to have a white eyesore of a pet flap ruining its’ natural beauty even if it is a side door. 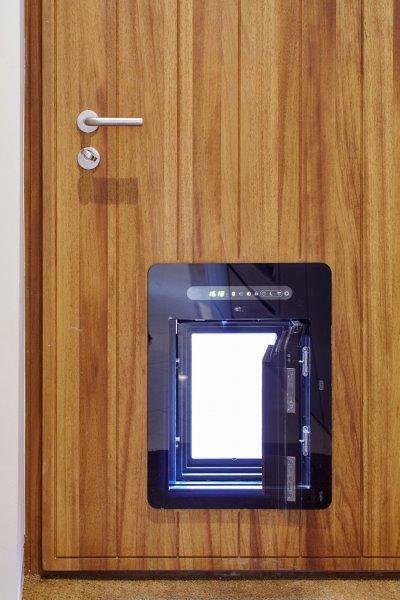 Well, Urban Front have a fantastic product that allows you to ‘hide’ your pet flap on the outside of the door, keep you safe with extra security and also prevent all of those draughts that come with having any sort of opening at the bottom of your door. As already stated in the headline, this pet flap is also Passive House certified and the pictures we’ve included are of a house which is Passive as well. As you can see on the outside of the door above, the pet flap is barely visible and opens automatically for your cat/dog as they approach and then closes automatically behind them (working from a chip under their skin). 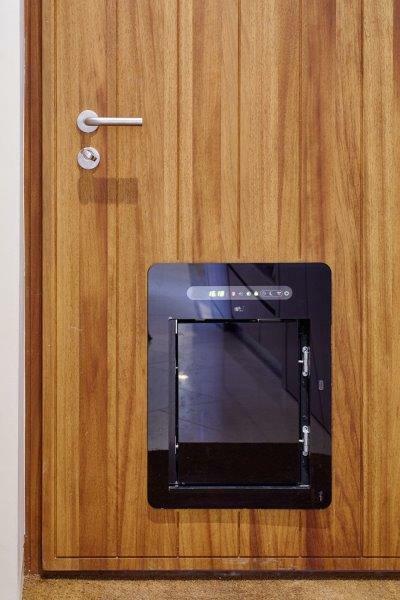 The pet flap also has a remote control for you to lock it if you need to and security bolts to ensure no-one or nothing else can enter. 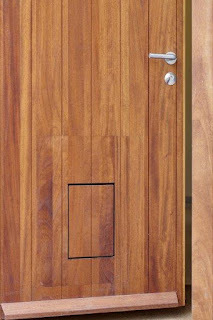 For more information about costs and details about this Pet Flap please call Urban Front on 01494 778787 or visit www.urbanfront.com.